Dear Devotees, Friends and Well-Wishers! All glories to His Divine Grace Srila Bhakti Siddhanta Saraswati Goswami Thakur Prabhupada and Guru – Parampara (disciplic succession). 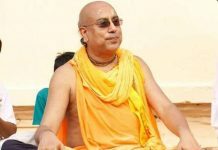 Please accept the blessings of my beloved Srila Gurudeva, His Divine Grace Srila Bhakti Pramode Puri Goswami Maharaj, and convey the same to all members in your congregation. 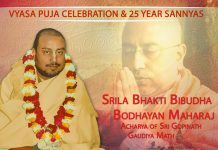 According to our tradition which was established by Srila Gurudeva, this year we are celebrating Gour-Purnima festival for 10-Days starting from 4 (Saturday) to 13 (Monday) March 2017 at our Sri Mayapur Temple, Sri Gopinath Gaudiya Math, Ishodyan, Nadia (W.B. ), India. It is my humble request that you attend the program along with all your family members and friends and make this festival glorious by your presence. 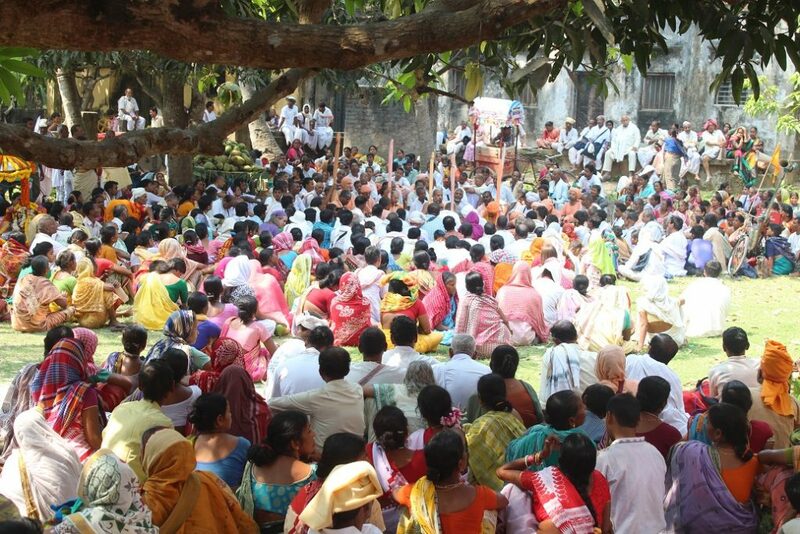 According to the words of our Guru-Varga, we can be freed from our present difficult cycle of birth and death through the Parikrama (circumambulation) of Holy Navadwip (nine islands) Dham. In order to deliver us, our merciful Guru-Varga started this festival so we get the opportunity to uplift our present spiritual life and fulfill the main purpose of this human birth. Adhivas (the preparation day); from sunrise to sunset non-stop Harinam-Sankirtan in front of Srila Gurudeva’s Samadhi temple. We will leave our Mayapur temple at 5:00 am with Mahaprabhu’s palanquin to visit the islands Antardvip and Simantadvip. a) Sri Chaitanya Gaudiya Math (Ishodyan). b) The house of Nandan Acharya (Sri Sri Gour-Nityananda Mandir) – the place where Sri Nityananda Prabhu and Chaitanya Mahaprabhu met for the first time and started the sankirtan movement. 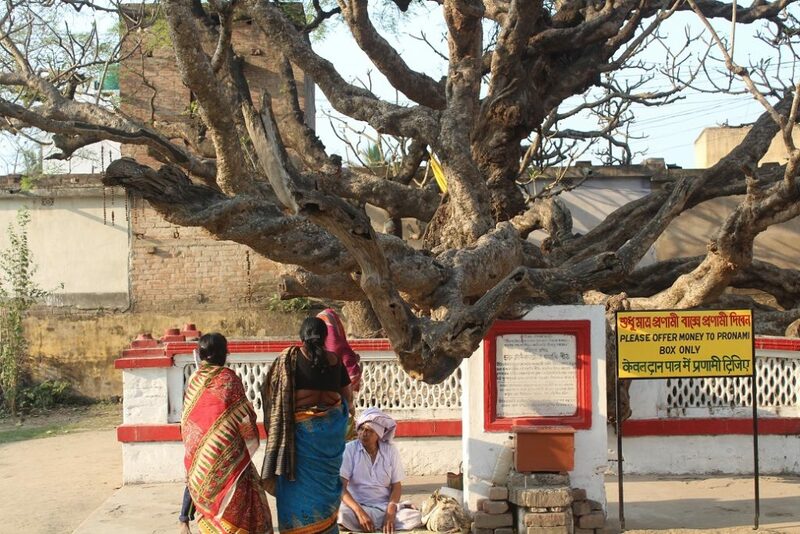 c) The Yoga-Pith temple – the birthplace of Sri Krishna Chaitanya Mahaprabhu. d) The house of Srivas Pandit, Sankirtan-Rasa-Sthali – the place where Sri Krishna Chaitanya Mahaprabhu manifested Sankirtan the whole night with His close associates. e) The house of Murari Gupta, the incarnation of Hanuman (Monkey God). f) Sri Chaitanya Math – the parent temple of all Gaudiya Maths. This temple was established (1918) by His Divine Grace Srila Bhakti Siddhanta Saraswati Goswami Thakur Prabhupad. 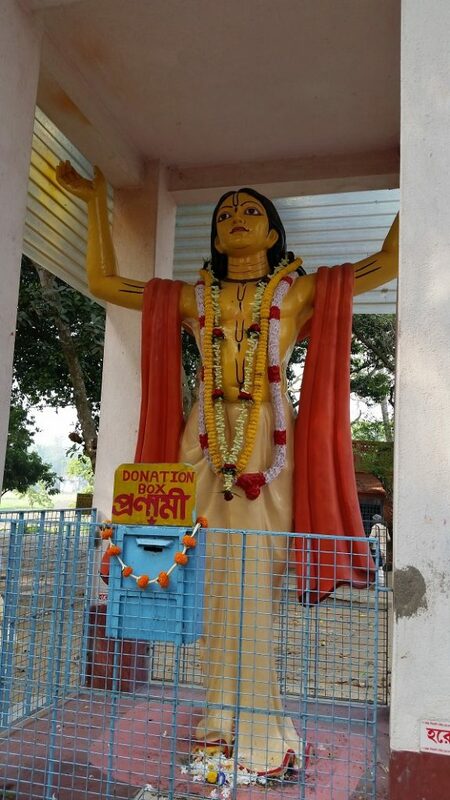 g) Sri Baladeva, Sri Subhadra, Sri Jagannath temples at Sar-Danga. This place is non-different from Jagannath Puri. h) The house of Sridhar, Sridhar Angan. 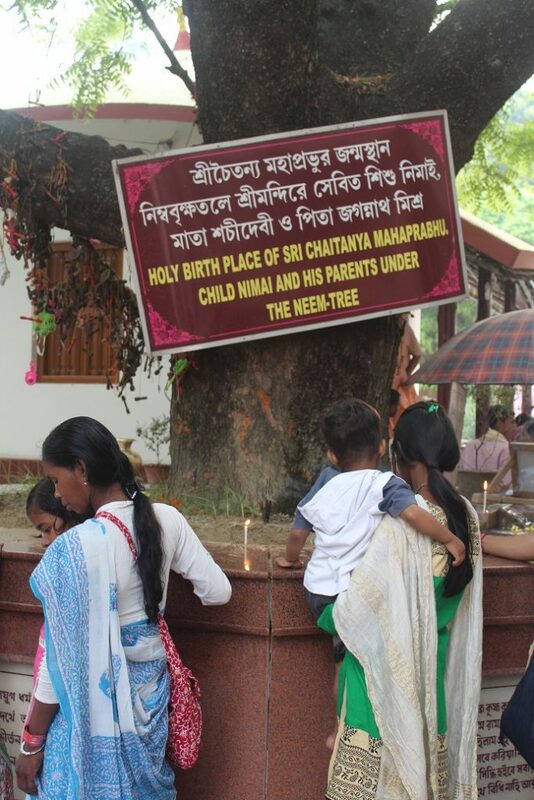 i) Bel-Pukur (the house of Sri Krishna Chaitanya Mahaprabhu’s maternal uncle). Here the four Kumaras (Sanak, Sanatan, Sanandan and Sanat Kumar) achieved perfection and Nimbarka Acharya was appointed by them for establishing Sanak Sampradaya. k) Return to our temple. We will leave our Mayapur temple at 4:45 am with Mahaprabhu’s palanquin to visit the islands Godrumdvip and Madhyadvip. a) Sri Svananda Sukhada Kunja & Surabhi Kunja – the house and bhajan-kutir of Srila Bhaktivinode Thakur. b) Suvarna Vihar – the palace of Suvarna Sen, a famous king in the Golden Age (Satya-Yuga), who got Sri Narada Muni’s mercy and received a vision (darshan) of the golden form of the Supreme Lord. In Mahaprabhu’s pastime Suvarna Sen appeared in the form of Buddhimanta Khan. c) Narasimha-Palli – the place where Lord Narasimhadeva took rest after delivering the demoniac Hiranayakashipu, the physical father of Bhakta Prahlad. d) Hari-Hara Kshetra – the Deity of Half-Vishnu and Half-Shiva. e) Return to our temple. We will leave our Mayapur temple at 4:45 am with Mahaprabhu’s palanquin in order to visit the islands Koladvip, Ritudvip, Jahnudvip and Modadrumdvip. a) The Prauda-Maya temple and Shiva-temple, presently known as PORAMATALA. b) Sri Devananda Gaudiya Math – the place is representing the pastime of Sri Varahadev. Here five holy rivers meet together (Pancha-Veni); it is also the place of Devananda Pandit. c) Sri Sri Gour-Gadadhara temple at Champahati and the house of the famous Vaisnava-poet Sri Jayadeva Goswami. d) Vidyanagar – the place where all types of education were available in the Golden Age. e) The place of Sarvabhouma Bhattacharya, the incarnation of Brihaspati, the spiritual master of the god & goddess (Deva & Devi from heaven). f) Sri Jahnu-Muni’s Ashram and the house of Vrindavandas Thakur. g) Return to our temple. Today is Amalaki Ekadasi’s fasting day. 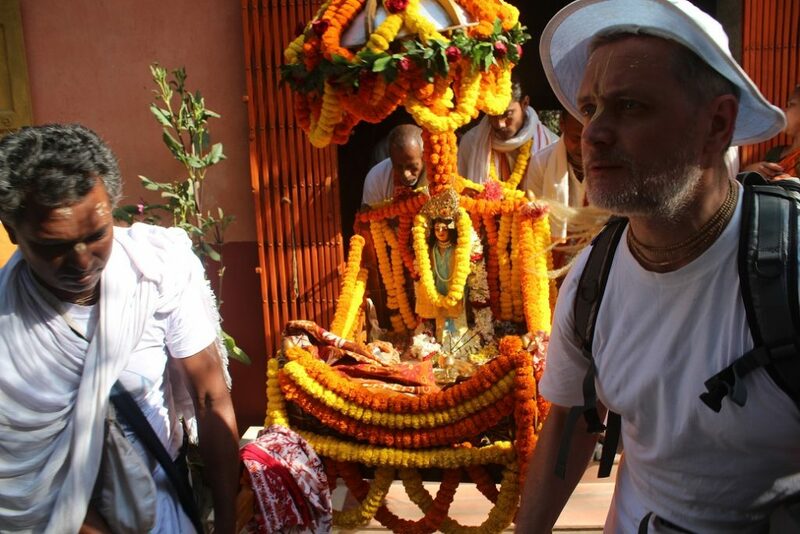 We will leave our Mayapur temple at 6.00 am with Mahaprabhu’s palanquin to visit the island of Rudradvip. a) Simuliya, Jagai & Madhai-Ghat, Var-Kona-Ghat. d) Return to Mayapur temple. Amalaki Ekadasi’s breakfast between 5:57 am to 9:51 am. (According to Bengal time zone). Today is the disappearance day of Srila Madhavendra Puri. We will observe the festival with discourses by prominent devotee speakers from 9:00 am and then honor Mahaprasadam at 12:30 pm. a) Mangal Arati & temple Parikrama – 4:00 to 6:00 am. b) Discourses from Sri Chaitanya Bhagwata – 6:00 to 8:00 am. c) Discourse competition between devotees with Chaitanya Charitamrita’s Shloka (Payar) – 9:30 to 11:00 am. 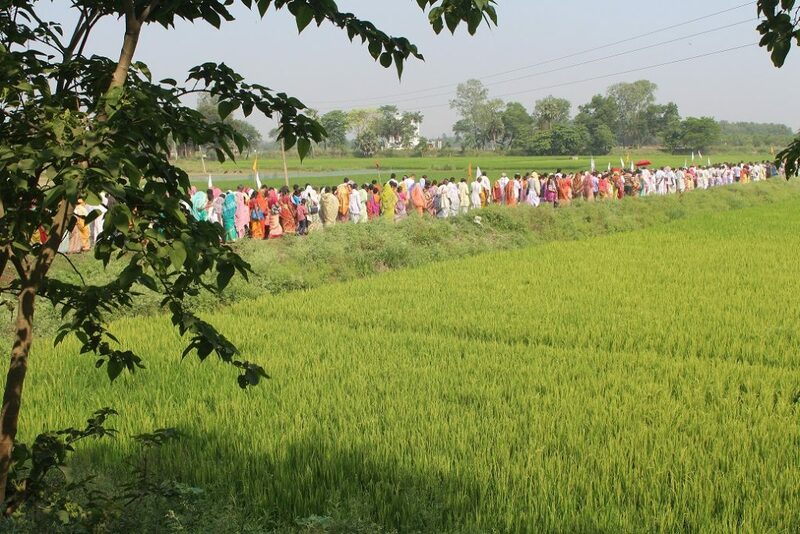 d) Cooking competition between women devotees – 8:00 to 10:00 am. e) Kids Activities – 10:00 to 11:00 am. f) Lunch Bhoga offering and Arati – 11:00 am to 12:00 noon. g) Discourse on Chaitanya Bhagwata – 12:00 noon to 1:00 pm. h) Kirtan & Discourse on Chaitanya Bhagwata – 3:30 to 5:30 pm. i) Evening Arati & temple Parikrama – 5:45 to 6:30 pm. j) Kirtan & Discourses – 6:30 to 8:30 pm. 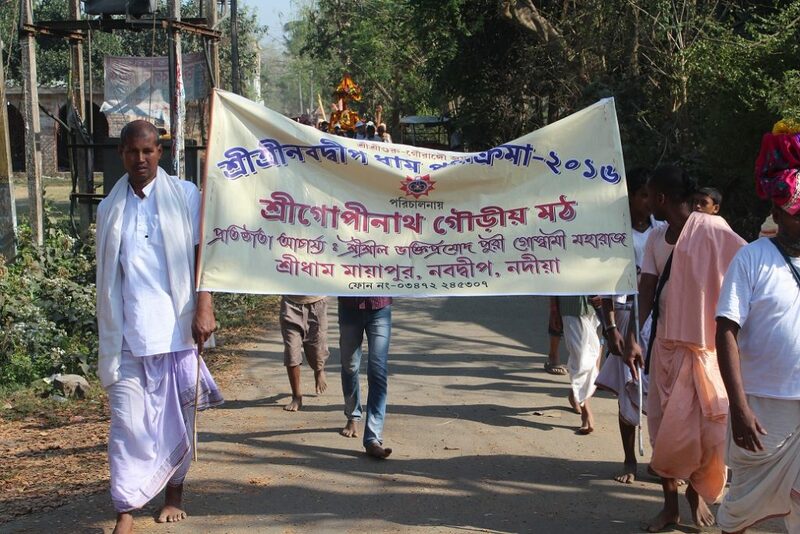 This is the Adhivas-day (preparation day) of Lord Sri Krishna Chaitanya Mahaprabhu’s 531-appearance day. In order to prepare ourselves for the observance of Sri Krishna Chaitanya Mahaprabhu’s appearance day (next day), we will chant from sunrise to sunset non-stop Harinam (Hare Krishna Mahamantra) Sankirtan, congregationally in front of Srila Gurudeva’s Samadhi. Kids Activities from 4:00 to 5:30 pm. Discourses will be held from 10:00 to 11.00 am and from 12:00 noon to 1:00 pm and then from 6:30 to 8:30 pm. The 531st appearance day of Sri Krishna Chaitanya Mahaprabhu, the incarnation of Divine Love (Prema-Purushottam). We will fast until moonrise and then accept anukalpa (Ekadasi-prasadam). a) From sunrise to sunset Harinam Sankirtan congregationally in front of Srila Gurudeva’s Samadhi. b) From 7:00 am to 4:30 pm non-stop Sri Chaitanya Bhagawata discourses. 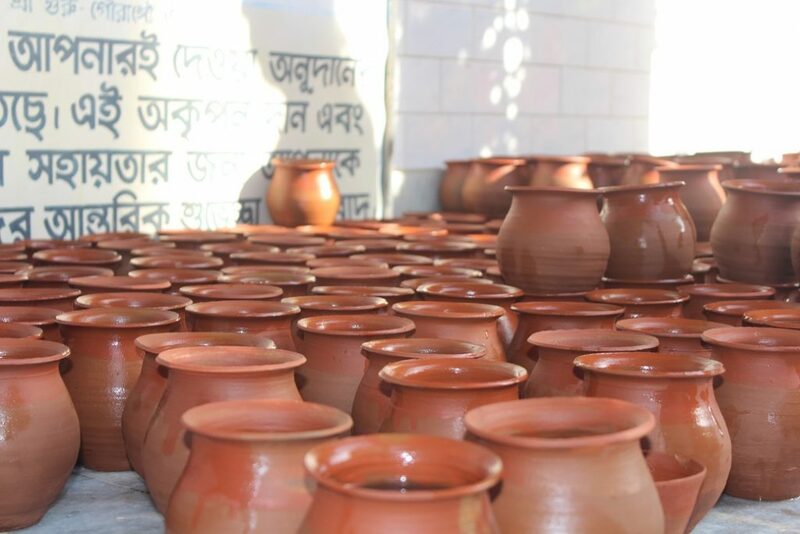 c) At 3:30 pm we will start from temple campus for Ganga river for collecting Ganga water. 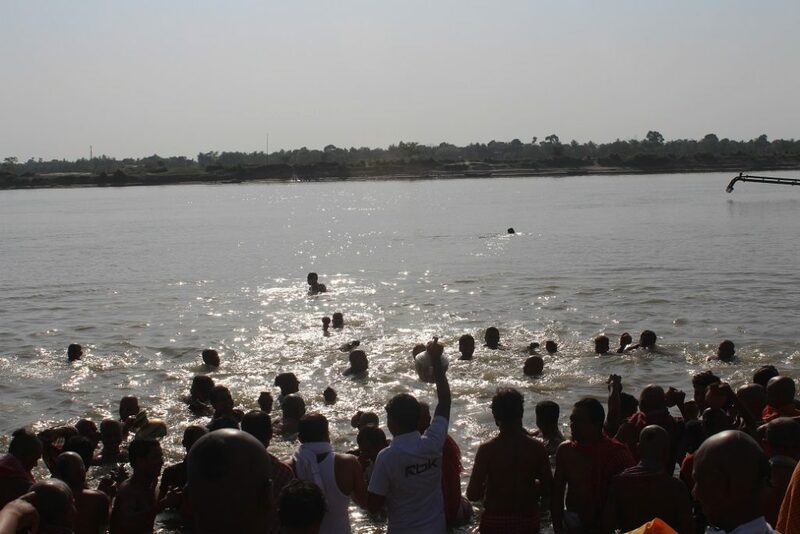 With the same water we will bath (ABHISEKH) Sri Krishna Chaitanya Mahaprabhu’s Deity. 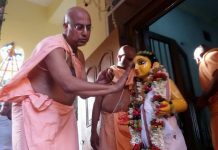 d) Sri Krishna Chaitanya Mahaprabhu’s bathing ceremony (Maha-Abhishekh) will start at 5.00 pm and will continue until the time required for completion of the entire ceremony (approximately till 7:30 pm). e) After this we will honor ANUKALPA (Ekadasi Prasad), if at all required for supporting our physical body. 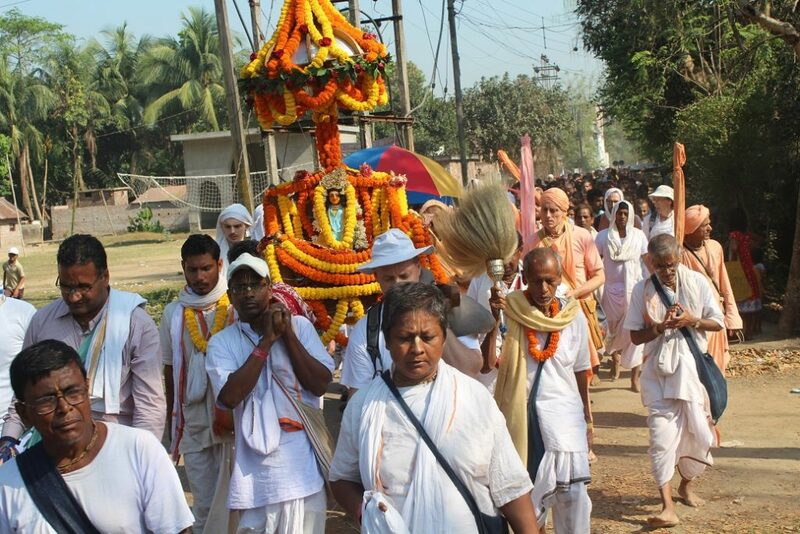 Sri Jagannath Mishra Anandotsava – blissful festival of Sri Jagannath Mishra. We will break the fast of the previous day between sunrise 5:53 am to 9:49 am. Hare Krishna prabhu. Dandwat pranam. I’m Harish from guwahati. I want to talk diksha from guru Maharaja.